Day-use Fossli Park is situated on the south side of Stirling Arm on Sproat Lake, west of Port Alberni on Vancouver Island. This undeveloped park has limited facilities but does contain a beautiful walking trail. This 30-minute route leads through second-growth forest to an old homestead site on Sproat Lake. At the lake, visitors can relax on the level grassy area or pebble beach and enjoy the lovely views of Sproat Lake. Please note: This park operates on a “User Maintained” basis. 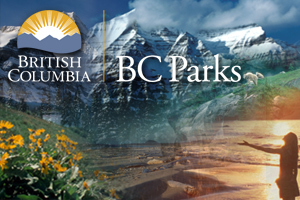 Services and facilities may differ from those offered in other BC Parks. Please note: there are no campfires allowed in this park at any time. Bring your own drinking water as potable water is not available in the park. Water collected in the park must be boiled, filtered and treated prior to consumption. There is no sani-station/dump facilities or boat launch available at this park. The nearest facilities are located at Sproat Lake Provincial Park. Fossli Park is situated on the south side of Stirling Arm on Sproat Lake, west of Port Alberni on Vancouver Island. Access is by boat or an approximately 30-minute walk from the Stirling Arm Mainline, a private logging road. Travel through Port Alberni on the way to Tofino and turn left on the first McCoy Lake Road access. Travel approximately 6.5 km and then turn left on Stirling Arm Drive for about 3 km. Turn left onto Ash Main gravel road for 0.9 km. At the Stirling Arm Mainline intersection turn right and travel 4 km. Just before the bridge you’ll find a pullout where you can park. An old logging road from the parking lot leads to the trail that will take you to Sproat Lake. Nearby communites include: Port Alberni, Pacific Rim. History: The 130 acres that make up Fossli Provincial Park were donated to the province for parkland by Helen and Armour Ford. Helen Ford had inherited the property from her father, who in turn had purchased it from an early settler, Mr. Faber. Mr. Faber had named the area Fossli after a village in Eidfjord, Norway – fossil or fosseli is a Norwegian word meaning “waterfall in the valley”. Visitors can canoe or kayak on Sproat Lake via Sproat Lake Provincial Park, but there is nowhere to launch within Fossli Provincial Park. There are opportunities for lake fishing at this park. Fishing is permitted as per provincial and federal fishing regulations. All anglers should check the current regulations issued by Fisheries and Oceans Canada prior to fishing. Anyone fishing or angling in British Columbia must have an appropriate licence. A beautiful 30 minute trail through second-growth forest leads from the parking area to an old homestead site on Sproat Lake. Here, visitors can relax on the level grassy area or pebble beach and enjoy the lovely views of Sproat Lake. Although swimming is possible in Sproat Lake, there is no designated swimming area in Fossli Provincial Park. There are no lifeguards on duty at provincial parks. A picnic table and pit toilet are located at the lake. A beautiful 30-minute trail leads through second-growth forest to an old homestead site on Sproat Lake. Here visitors can relax on the level grassy area or pebble beach and enjoy the lovely views of Sproat Lake. A pit toilet is located at the lake, approximately 30 minutes from the parking area.